Charming colonial beautifully maintained with a spacious yard. Anchoring this lovely home is a huge great room with fireplace, bay window, and crown molding. Your family can enjoy a movie in this welcoming space or savor a meal at the adjoining dining room with sliding door leading to deck and tree lined backyard, perfect for entertaining. Eat in kitchen with oak cabinetry, ceramic tile and stainless steel appliances. Upstairs you’ll find three nicely sized, elegantly decorated bedrooms as well as a huge master suite with an updated bath. Finished basement offers additional recreation / workout space as well a huge workshop. Smart garage controlled via app. One year home warranty included. 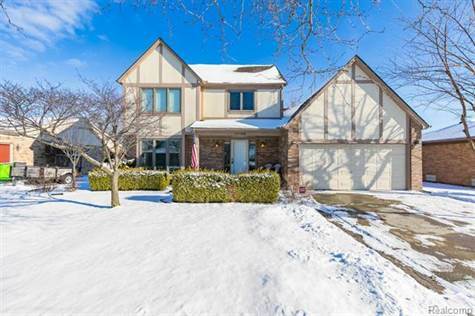 Close to the library, parks, walking trails and Partridge Creek.